Cameron and Tyler Winklevoss have each purchased tickets for a spaceflight with Virgin Galactic, using some of their immense bitcoin stash. 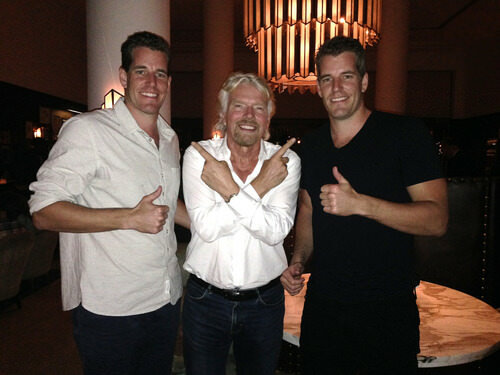 The Winklevoss twins are best known for founding HarvardConnection (later ConnectU), a social network for students at Harvard University. The pair sued Facebook founder Mark Zuckerberg for $140m over the idea, dropping the suit in 2011 to accept a settlement made earlier in 2008. Since then, the twins have become interested in bitcoin, and in July filed with the US Securities and Exchange Commission (SEC) for an investment fund based on the digital currency. The twins remain firmly committed to bitcoin and even launched their own bitcoin price index last month called the Winkdex. In a Reddit AMA in January, Cameron said we are in new and ‘uncharted waters’ when it comes to digital currency, but he expressed his doubts about fiat currency. He went on to say bitcoin would feel and act as mature as the US dollar in ten years. Last month, he estimated each bitcoin would, at some point, be worth $40,000. The twins will travel into space in Virgin Galactic’s SpaceShipTwo. At 60ft long and with a 90″ diameter cabin, this consumer-ready vehicle can seat six passengers. SpaceShipTwo is partly based on the technology of SpaceShipOne, the craft that completed the first manned private spaceflight in 2004 and won the Ansari X Prize. SpaceShipOne won the $10m prize on 4th October 2004, the 47th anniversary of the launch of Sputnik 1. It will be launched from its mothership White Knight Two. The rocket and mothership are both twice the size of their experimental 2004 predecessors, meaning extra years of test flights before anything is consumer-ready. 63 year-old Richard Branson, founder of 400-company Virgin Group, announced Virgin Galactic would accept bitcoin payments for suborbital space travel in November last year. A flight attendant from the company bought the first ticket for herself in bitcoin that same week. 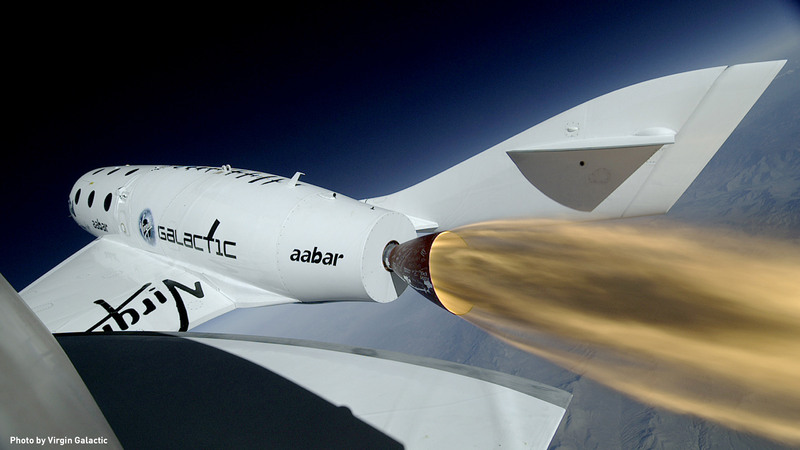 Branson said the 2004 test spaceflight paved the way for Virgin Galactic’s tourist venture in 2014. Tickets to be among the first flight passengers to space are currently selling for $250,000, and 700 people are already in line.